The veteran actor talks about his five-decade-long career, his association with Hrishikesh Mukherjee and why he doesn’t give advice to his sons. The recently released film Yamla, Pagla Deewana: Phir Se has been received well in the Deols’ home territory of Punjab. 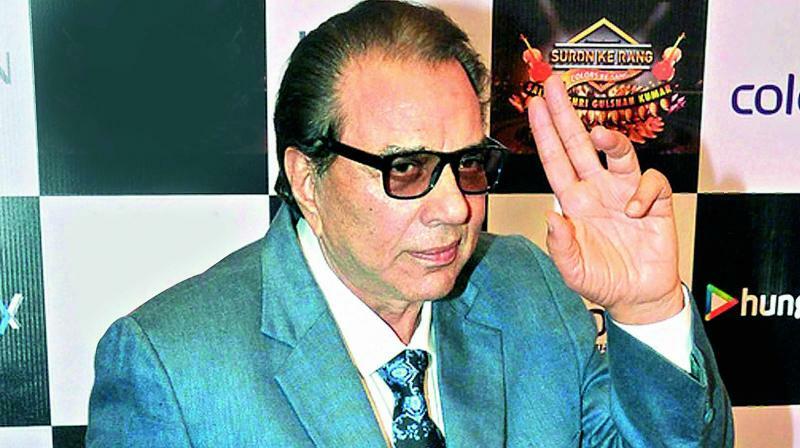 As box-office collections picked up through word-of-mouth publicity, the film’s lead star, veteran actor Dharmendra, sits down for a quick chat. Reminiscing on the golden age of Hindi cinema, of which he was a part, he says, “Every era has its own beauty. The sentiments of the past were something else. The audience was different, the atmosphere was different, and the stories were different. Then, we had golden jubilees. “I came from a middle-class family, and I would sit with the dancer boys and girls and eat bhajiyas,” he adds. The actor had a long and fruitful association with Hrishikesh Mukherjee, whom he thinks of fondly, even today. “Hrishi da was a great director, a brother, a friend, a mentor, and a master. He would scold me, but he was such a great person that he commanded my love and respect. I remember, when I visited him at the hospital during his last hours, he told me to remove the pipes inserted into his body. It was a dreadful sight,” the actor says, with tears rolling down his face. And in his over-five-decades-long career, there’s one man that Dharmendra regrets not having worked with – Mehboob Khan. “He made films like Andaaz and Mother India. I met him at Mehboob Studios once, and he said that he wanted to make a film with me. He wanted to make Sasta Khoon Mehenga Paani,” the actor recalls. And though he’s one of Bollywood’s most revered actors, he refuses to let himself be called a star. “I am a human being, not a star. That’s what has kept me going,” he says.